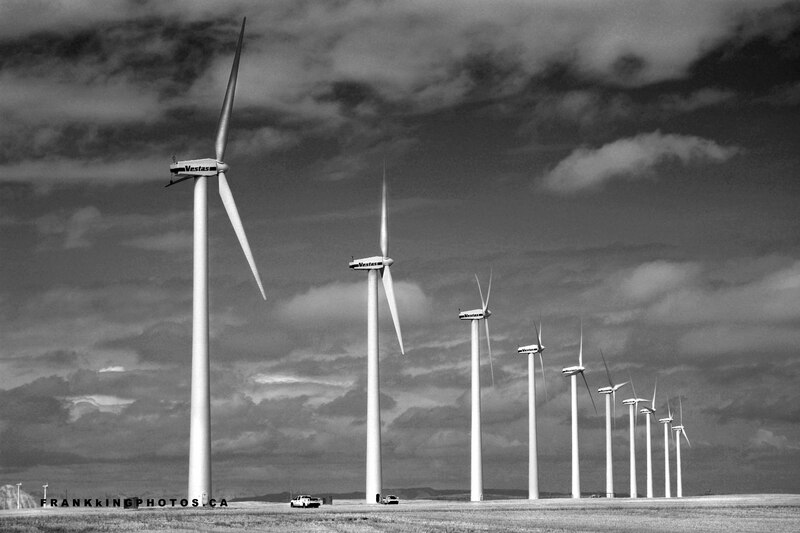 I know there are people who deeply dislike wind turbines, but I find them to be fascinating photo subjects. And there are hundreds of them in the deep south of this western Canada province, which is known as one of the windiest places in the country. I went for a black-and-white treatment of this scene, simply because it’s more dramatic than the colour version. This ‘farm’ alone has 114 turbines, which (according to co-owner TransAlta) produces 235,000 megawatt hours of electricity annually.